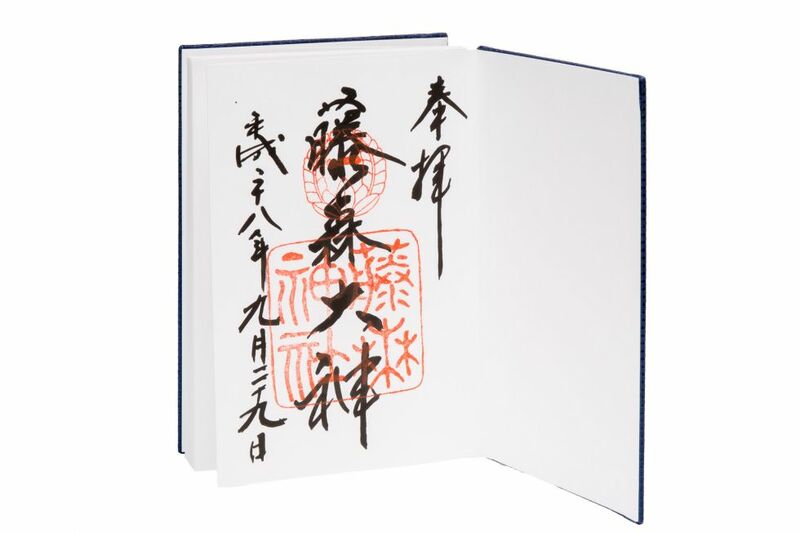 A goshuinchō (御朱印帳) is, if you want to translate it, a “book of seals”. Most shrines and temples in Japan have a goshuin (御朱印), a seal that belongs only to that institution. 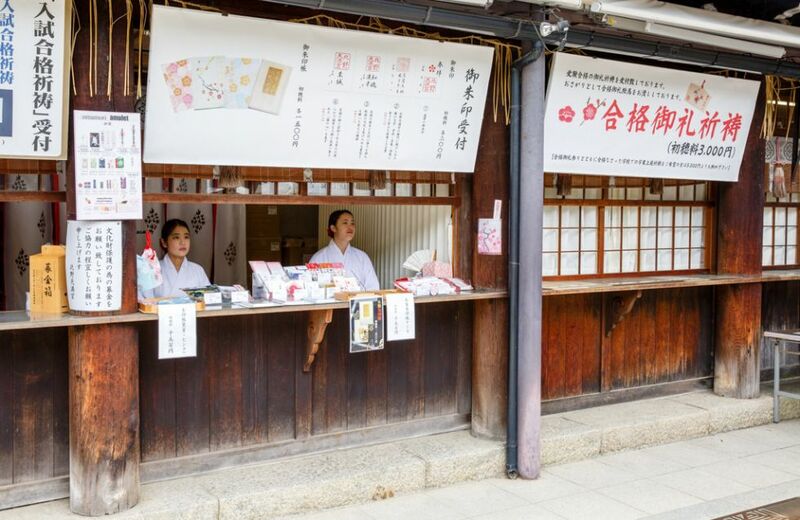 When visiting these sites you may have noticed people holding small, colorful books and lining up at the shrine/temple office. As proof of their pilgrimage, visitors who have a goshuinchō pass their book to a shrine official, (usually a priest/monk, but sometimes a volunteer staffer), who inscribes the date and name of the shrine or temple in calligraphy along with the goshuin seal in vermilion. 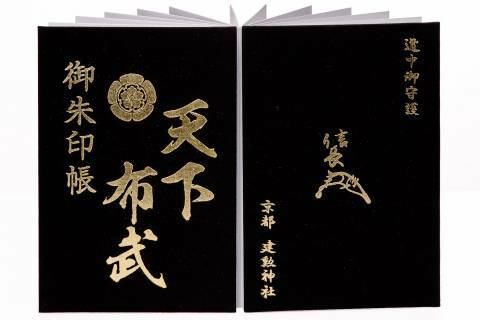 Once considered something only the older generation or the especially devout did while undertaking specific pilgrimages, recently the practice of collecting seals in a goshuinchō has experienced a surge in popularity with both the younger generation as well as tourists, who view it as a way to create a book of memories detailing where they went on their trip. Though there are several legends concerning the exact origin of goshuin, the most popular theory states that the seals were originally given as proof that a person had copied sutras in devotional practice at a certain time and place. 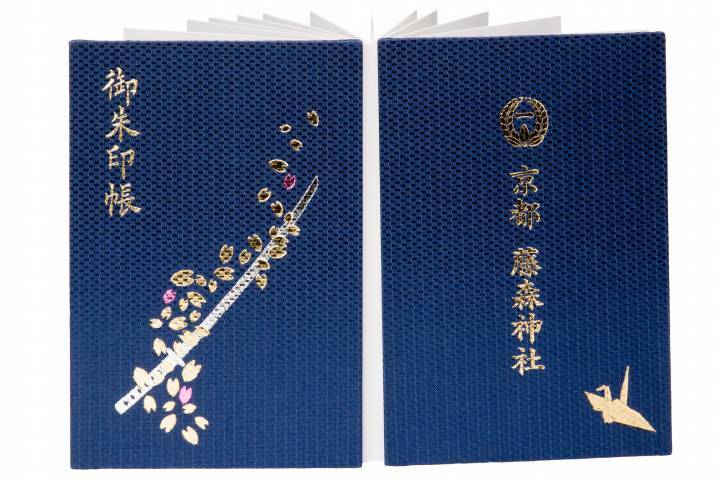 Goshuinchō were used as a sort of passport to the next life, proof of how devoted or faithful you were by serving as a pilgrimage record that would be burned with the body after death during the cremation. This practice is still carried out, but people collecting goshuin as a more secular activity are also on the rise. 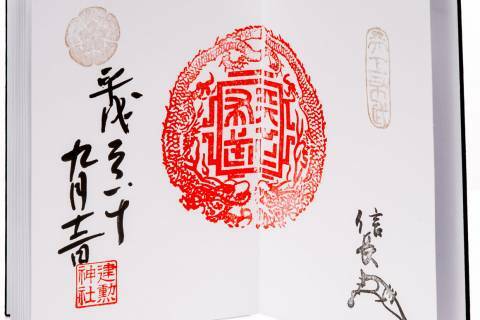 Whether you undertake pilgrimages as a religious activity or plan to collect seals during sight-seeing in Kyoto, it’s wonderful to be able to fill the pages along the way and look back at your seal books later and reminisce. If a shrine or temple offers a book for sale, it is usually placed in a visible position next to the omamori charms for sale. The price usually ranges from ‎¥‎800 to ¥1,500 depending on the location, and a seal for that site should be done on the first page. If there’s a space for it, you can ask that the staff write your name on the book for you. Once you are a goshuinchō book-carrier, you are ready to begin receiving seals at each location you visit by following the simple steps described below. Step 02: If yes, offer your book opened to the blank page you would like the seal written on. Even if you don’t speak Japanese, just a simple “please” (“onegai shimasu”) will convey what you’d like done. If there is more than one goshuin available, you can point at or name which one you would like. There is no rule preventing you from selecting more than one, or all, if you’d like. Note: Some places ask that you leave your goshuinchō at the office or reception while you make your visit and pick up the finished book on your way out. In this case, you will usually be given a chip with a number on it for identification. Step 03: Once you receive the goshuin, you will be asked to give a donation. ¥300 is the most commonly requested amount, but some places ask for ¥500, and some allow you to give according to your “okimochi” gratitude. Step 04: Collect your seals! Once you finish one side of your book, flip it over and begin filling in the other side until you finish it up… and then it’s time to select your next goshuinchō! Most people recommend you get a book from a shrine/temple you visit often or feel some affinity to. 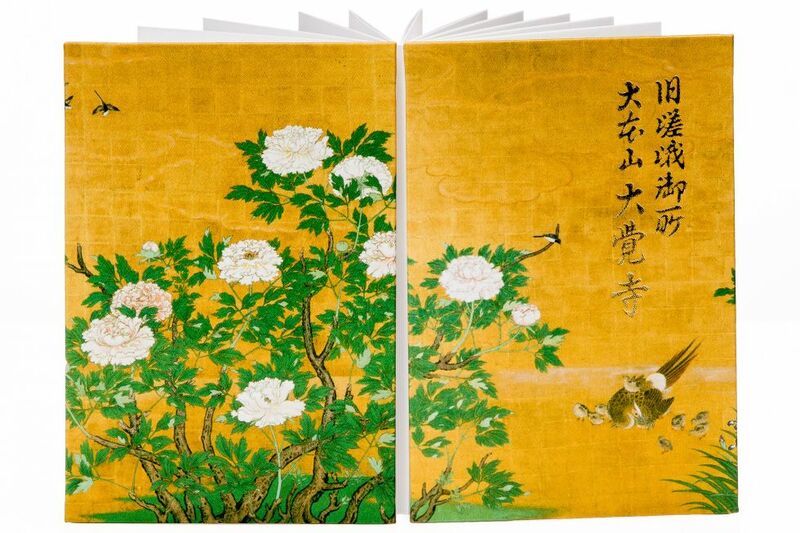 In general, temple books tend to be more monochrome and plain cloth-based, while shrine books tend to involve more embroidery and colored silk thread, though there are always exceptions! 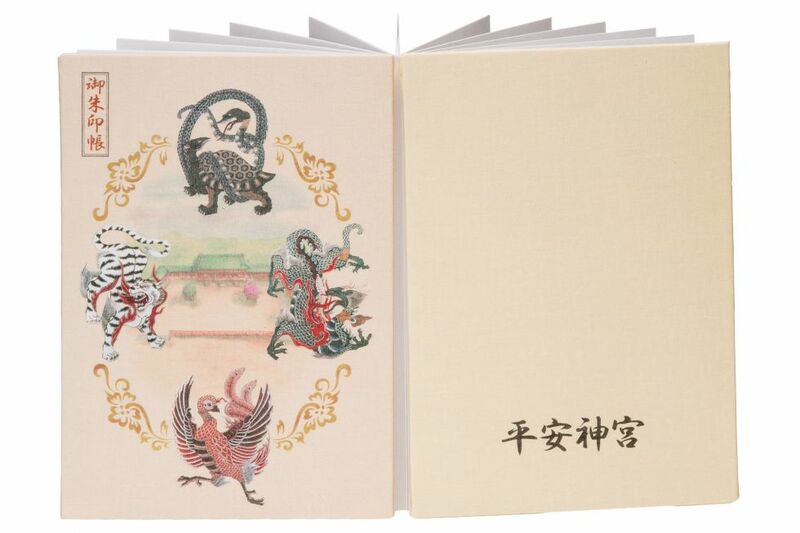 On the front cover is usually the label of “goshuinchō”, and the back cover usually has the shrine/temple’s name written on it. Some books come with a plastic cover to prevent damage, and some places offer cloth bags to store the book in for the same purpose. 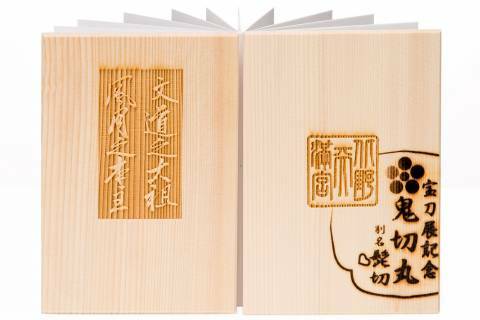 Most goshuinchō are done in accordion-binding style, allowing you to open it up and view multiple seals at once. Occasionally a shrine or temple may offer more than one seal. One popular alternative are those of the Seven Lucky Gods (七福神), which are available at shrines/temples affiliated with a “lucky pilgrimage”. In the case of temples, different bodhisattvas or incarnations of the Buddha associated with different worship halls on the property might be represented as separate seals. For example, Kiyomizu-dera in Kyoto has more than ten different seals to collect for various pilgrimages and objects of worship on the temple grounds. Some other types of seals include those related to a particular feature of the location, a specific festival period, or a seal commemorating a particular status. When in doubt, go for the “main” seal: gohonzan at temples, gohonsha at shrines. Though you are likely to see “do it yourself” tourism stamps available at various shrines and temples, be careful not to place this type of stamp in your goshuinchō, (though you’re more than welcome to collect them separately). These stamps do not carry the same connotations as a goshuin, and you may be lectured in the future if you try to receive a goshuin elsewere, as sometimes the calligrapher looks at your past seals to see where else you have been or just to ascertain they’re doing the right page. 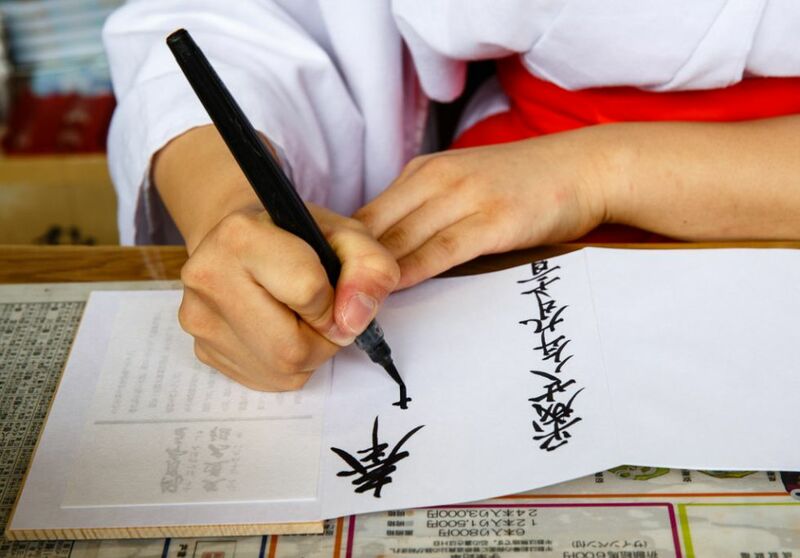 Since each writer is going to have a different style, and some seals use old or complicated kanji characters, even if you speak Japanese you may want to keep a record of some kind to remember which shrine or temple’s seal is on which page. These days, it may be easiest to keep a record using your phone’s Notes, or you could keep a paper list tucked into your book- the choice is yours. 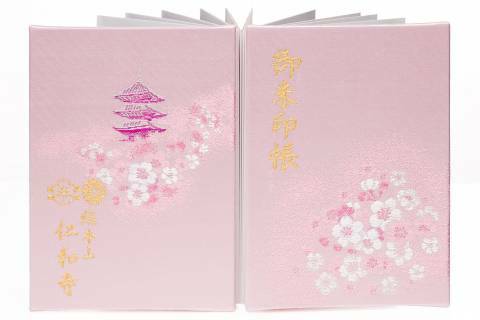 After your trip is finished, you’ll be able to look back at your book and relive your memories whenever you like, preserved in traditional form one after the other in your goshuinchō.